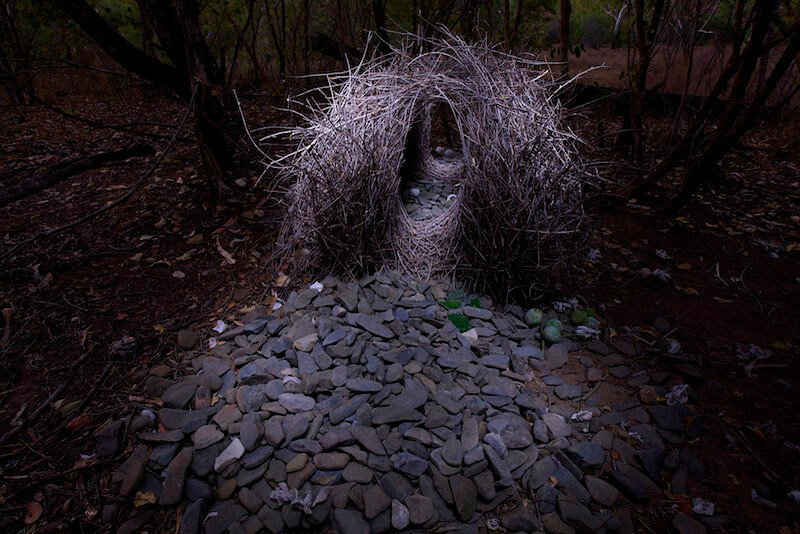 Bower of a Great Bowerbird (Chlamydera nuchalis). Bower of a Great Bowerbird (Chlamydera nuchalis) located far from civilization in the dry forest west of the village of Irvinebank. Decorations are mostly stones with a few snail shells, green fruits, and pieces of green glass.